Surtierra Shadow was selected to join our stable of sires after a long search in Australia spanning eighteen months. 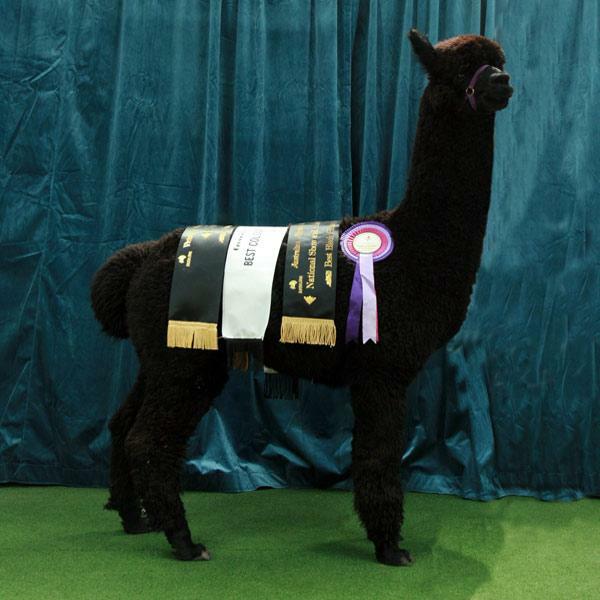 He was bred by Glenda Bartlett of Surtierra Alpaca Stud in Victoria, Australia and we are very grateful to Glenda for selling him to us. He is a large male who exhibits great substance of bone, a deep body, wide hips and broad chest. He moves with a fluid motion and displays high fibre coverage and excellent presence. 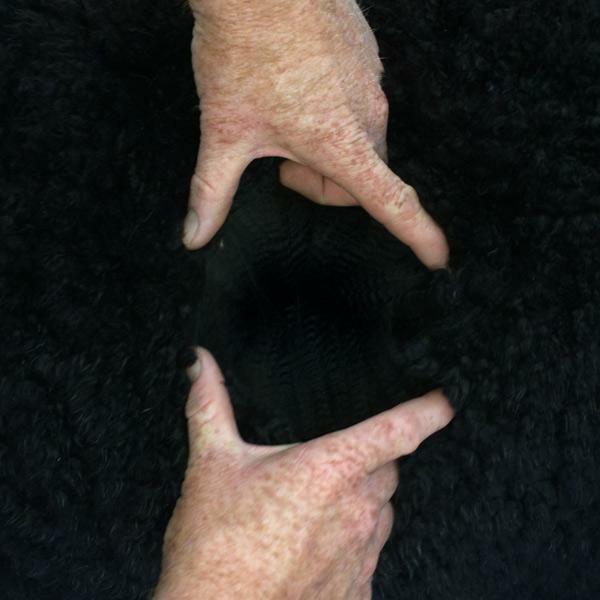 The fleece that Surtierra Shadow grows is a deep true black colour and that is extremely uniform in colour. Each staple contains densely packed super fine fibres that are bright, solft and uniform in micron. The growth rate of the fibre is also high which all adds up to a very high yield of very fine black fibre. We really appreciate the real softness and fineness Shadow is displaying as a senior male and the uniform black colour. 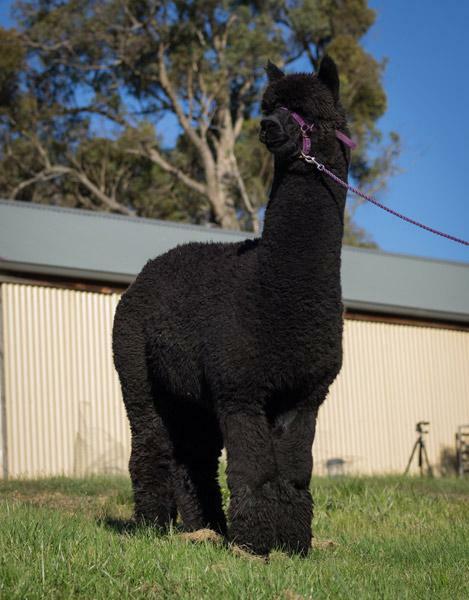 Surtierra Shadow is a very important sire as his pedigree is full of highly influential black sires in Australia. These genetics are sought after the world over and to have them wrapped up in one elite black sire is a real blessing. Surtierra Shadow is an In House male only and is not available for outside servicing. Some females pregnant to Surtierra Shadow are available.